This contemporary pendant is a work of art! 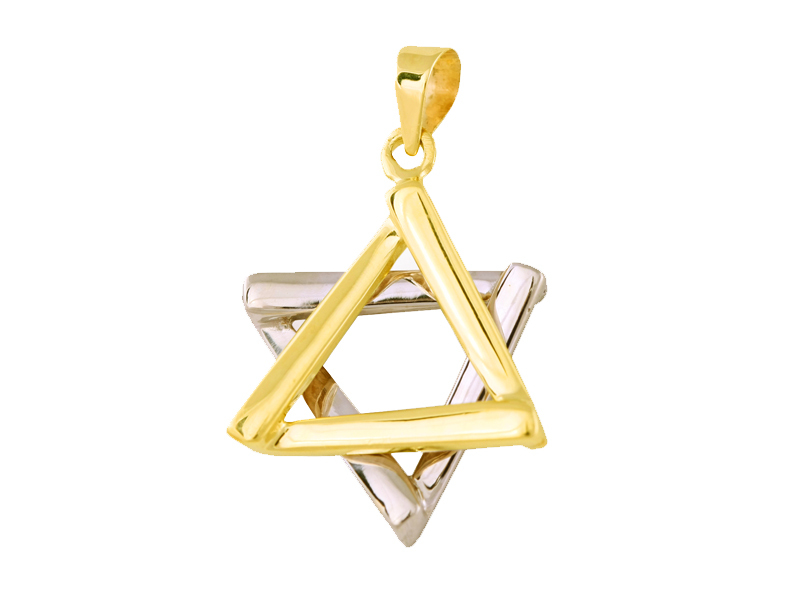 Designed with two tone 14k gold, two triangles, one made of white the other of yellow gold, combine to create a star of David. Pendant hangs from a smooth bale made of 14k yellow gold. The traditional Jewish symbol combined with a modern design, make this pendant a wonderful gift choice for a bar/bat mitzvah, birthday or any other special occasion.